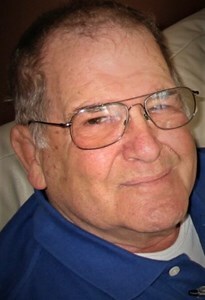 Newcomer Family Obituaries - John M. Weber 1934 - 2019 - Newcomer Cremations, Funerals & Receptions. John M. (Jack) Weber, beloved husband of Marie (Gaynor) Weber for 58 years, died March 10, 2019, in Toledo, OH. He was 85. Loving father of Jerry Weber, the late Richard Weber (d. 2011), and Jackie (Weber) Bonfield; grandfather of John P. Weber, and Madeline and Aurora Bonfield; and great grandfather of Patrick J. Weber. Brother of William B. Weber, and the late Marilyn (Weber) Lattin (d. 2008). Survived by many, nieces, nephews, friends and beloved pets. Jack was born March 10, 1934, in Los Angeles, to the late Vance Standley Weber and Katherine Braman Weber. As the son of a railroad man, Jack relocated with his family to numerous towns in California, Illinois and other states before settling in Toledo. He graduated in 1954 from DeVilbiss High School, where he was a standout athlete. He attended the University of Toledo on a wrestling scholarship. Jack served two years in the U.S. Army (1956-58), and was stationed in Germany. He later served in the Ohio Naval Militia, and rose to the level of Commanding Officer. After receiving an honorable discharge, Jack returned to the University of Toledo, where he joined the Alpha Sigma Phi fraternity and met his future wife. He married Marie Gaynor on Aug. 27, 1960. Jack held jobs at Toledo Trust Bank, Wane Plate & Copy, and DeVoe TV & Appliances before joining Weber & Sons Offset Lithographic, a business started by his father. Eventually, Jack took over the business and worked there many years until he retired. Jack was especially known for his outgoing friendly nature, and for wandering off to follow his curiosity or start a conversation. He was a passionate sports fan, especially of the Detroit Tigers. He coached a variety of baseball, wrestling and basketball teams in the South End; umpired baseball and softball leagues; and refereed high school and college football games for many years. He volunteered in various capacities at the University of Toledo and the Toledo Repertoire Theater and became an honorary member of the London Ontario Cricket Team. Jack also served as a Boy Scout troop leader, was a Mason, and was a long time member of Zion United Methodist Church. The family will receive guests on Saturday, March 30, 2019 from 2-4:00 p.m. at Newcomer - SW Chapel, 4752 Heatherdowns Blvd., Toledo (419-381-1900). The Memorial Service will begin at 4:00 p.m.
Add your memories to the guest book of John Weber. Melinda and I wish to extend our sympathies to you and your family. Unfortunately, we will be in Virginia visiting Melinda's aunt and cousin. maybe we can get together after we return. Again we express our sympathies to you and your family. With sympathy, understanding and prayer. I worked football with jack in the OAC a wonderful guy to have known. GOD BLESS. Jack was such an outgoing, affable man and contributed to supervising so many youth activities in Toledo. He has left a wonderful legacy in mentoring so many, not least of which are his children. Our thoughts and prayers are with all of the Webers. I always remember Jack with a sparkle in his eye. On behalf of all the members of the Ohio Association of Football Officials, our sincere condolences to the family. Jack was an active member and past president (1984) of our Association.